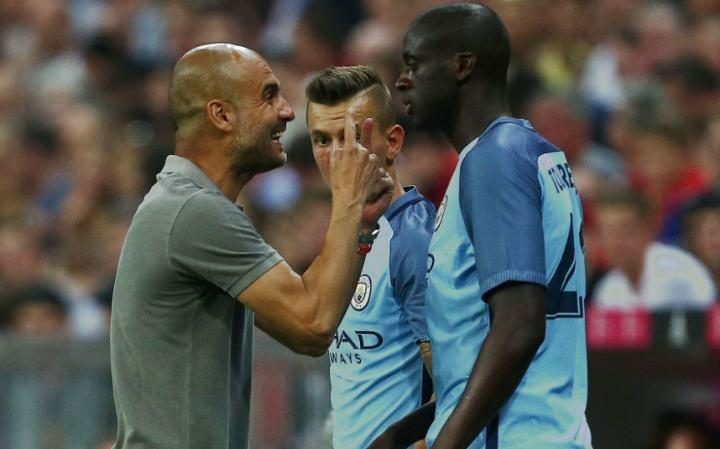 Pep Guardiola says Yaya Toure will not feature for Manchester City until he receives an apology for Dmitri Seluk's recent outbursts in the media. Guardiola left Toure out of his Champions League squad for this season and Goal understands City were keen to move the Ivorian on if they could find a willing buyer in the summer transfer window. Seluk, Toure's agent, told the press a day after his exclusion from that squad that the decision "humiliated" his client, and that "if City don’t win the Champions League then I hope that Pep has got the balls to say that he was wrong to humiliate a great player like Yaya." Guardiola, however, has not taken kindly to the comments, and said on the eve of City's League Cup clash with Swansea City that Toure will play no part, and that he can expect to be left out until the Toure camp reaches out to the City boss and his players to make amends. "It was so difficult for me to put him out in the Champions League," Guardiola said. "So difficult. I know him, I know he’s a good good guy, but it was difficult for me as well to put Aleix Garcia out, [they are] the only two players that are out, because the list is the list. "But the day after his agent spoke. In that moment Yaya is out. Unless Mr Dmitri Seluk comes back in the press conference, or his friends in the media, [until] he has the courage to call me, or go to the media and say he apologises to Manchester City, the first one, the second one is his team-mates and after the trainer. "When that happens Yaya will be part of the group and he will have the same chance to play all the games. Because I cannot accept, as a coach, every agent when his player doesn’t play goes to the media and speak and speak and speak. "I know how Dmitri Seluk loves Yaya Toure, if he loves me, show me and apologise to Manchester City what he did in the [media]. I cannot imagine in my period when I was a football player, my manager going to the media and speaking against Johan Cruyff, about this and about that. "Maybe it’s a new era now, the new period changing, but I’m an old guy. I am old generation, and old generation agents have to make his players his job and trainers his job, and today the agents believe they are more then they are. If he has a problem call Txiki Begiristain, the club, and they can talk, until he doesn’t speak, Yaya is not going to play." Toure announced his decision to retire from international duty with the Ivory Coast in the minutes leading up to Guardiola's press conference on Tuesday, and it appears his chances of playing club football in the near future are just as slim. Guardiola began his press conference by taking questions on the availability of Toure and Vincent Kompany for Wednesday's game at Swansea, and it was clear that the Ivorian's situation was not unlike any of his team-mates'. "Kompany has a chance,," he said. "Yaya no. He is not in the team." Guardiola was later asked about the decision to exclude Toure, and he simply replied: "It depends on Dmitri Seluk."